Ismaiel is majoring in biology. He attended high school at Father Michael Goetz C. S. S. We recently learned that Ismaiel has an identical twin brother. Jasmine is a health studies major with a health informatics option. For high school, she went to Martingrove Collegiate Institute. An interesting fact about Jasmine is she has traveled to at least ten countries around the world. Kate is majoring in rhetoric and professional writing. She attended high school at Orchard Park S. S. Kate is also studying American Sign Language at Conestoga College. Our three co-ops students have quickly adapted to their new roles. They are incredibly fast learners, ask great questions, and already work well together as team. We are fortunate to have such highly motivated, intelligent, and enthusiastic co-op students working here at Minute School. 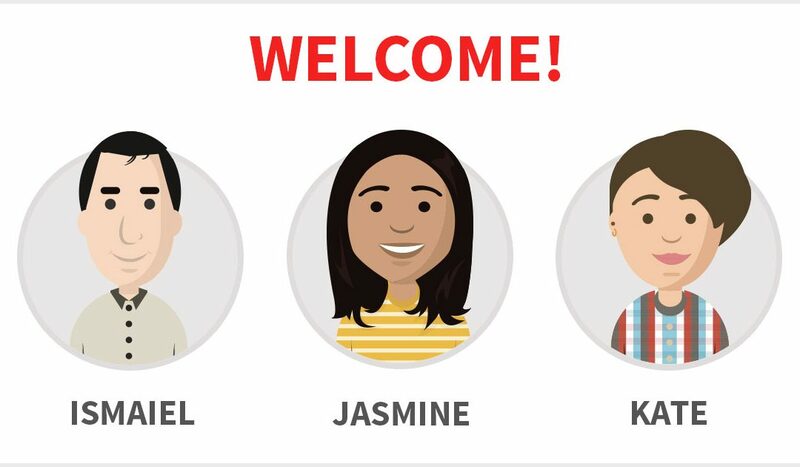 Over the term, you will learn more about Kate, Jasmine, and Ismaiel through the wisdom and experiences they share in their blog posts. Welcome to Minute School!